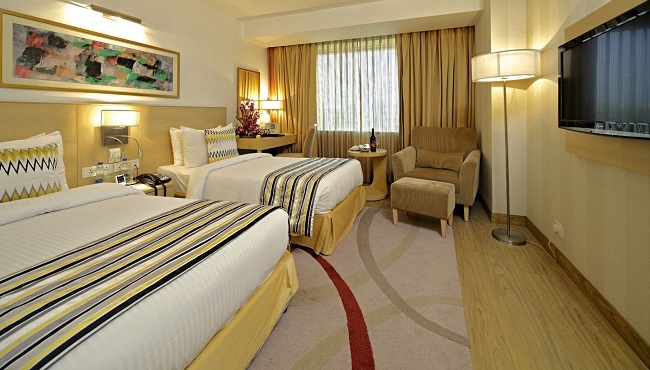 After a day of meetings at Connaught Place or shopping at Select CITYWALK, unwind in one of the 57 hotel rooms at the Country Inn & Suites in Saket. Mix a calming drink at the minibar and settle in with the latest episode of your favourite programme on the 32-inch LCD TV. Take advantage of convenient amenities like an electronic safe, free Wi-Fi and a coffeemaker designed to make you feel at home. If you’re hungry but want to dine in your pajamas, simply request a meal through our 24-hour room service. 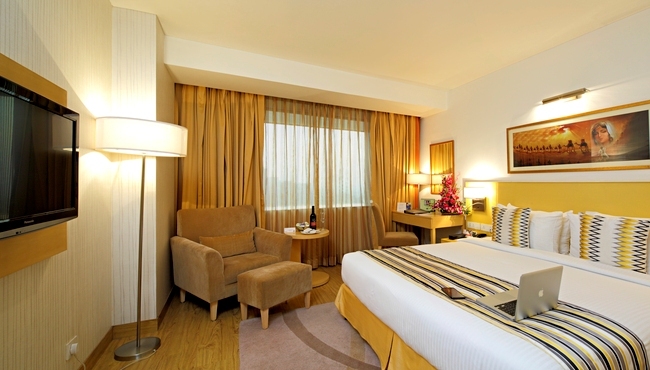 Our hotel offers 33 Superior Rooms, 17 with twin-size beds and 16 with king-size beds. The Superior Rooms include all standard amenities and lie on the third and fourth floors, with the smoking rooms on the seventh floor. Located on the fifth and sixth floors of the hotel, our 24 Deluxe Rooms are evenly split between rooms with king beds and rooms with twin beds. Take in views of the city from large windows, and enjoy additional furniture like a table and a wing chair. Cookies and fresh fruit are available by request.